Avast, mateys! International Talk Like a Pirate Day 2014 is on September 19, so if your little one is celebrating a birthday soon, pirates can be the perfect theme! 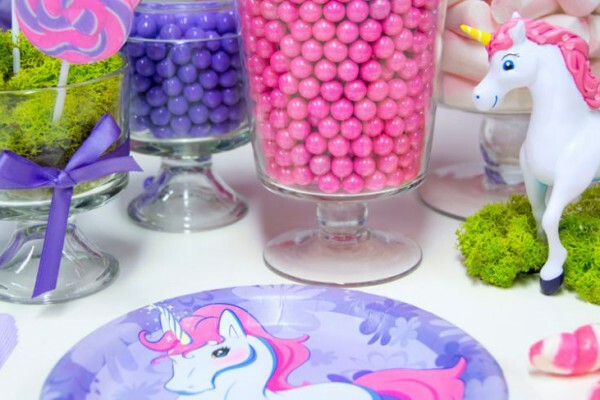 Our collection of pirate party supplies on Birthday Express has something for everyone – there’s everything from spooky skulls and bones, to girl pirates who prefer pink. Keep on reading to see our pirate party ideas! Here’s a fantastic way to display candies and sweets for a pirate party. Add a little brown sugar “sand” to the bottom of some small glass jars – miniature Mason jars or regular empty jelly jars will do. Then, place a couple gumballs, gold-wrapped chocolate candies, and golden chocolate coins in each one. Loop a bit of twine around the top for some finishing flair. 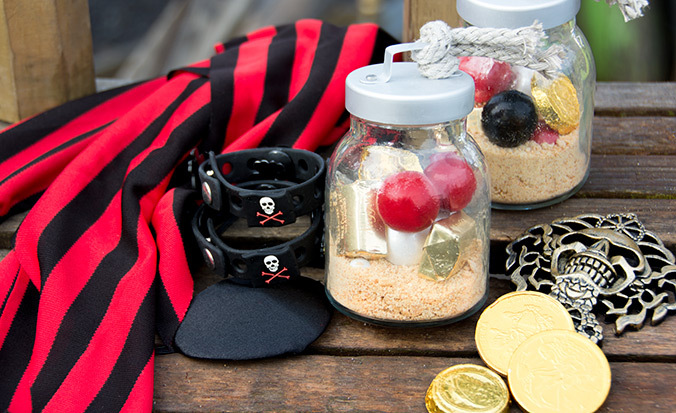 Props and special items like pirate skull cups and treasure chests fit with a pirate party perfectly – the chest can double as a gift box, too! 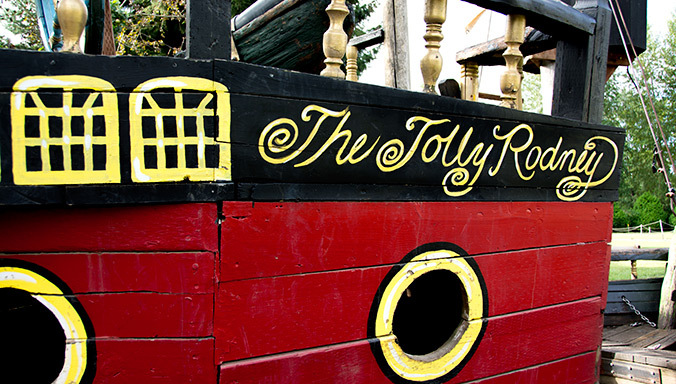 Larger-than-life pirate props like this ship can be decorated with personal touches like your child’s name. In a fierce battle at sea, The Jolly Roger is no match for the might of The Jolly Rodney! 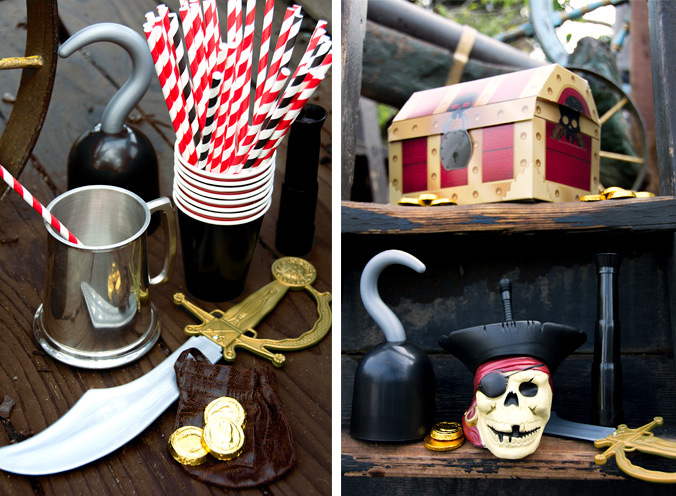 This easy and DIY pirate-themed party game for kids is also a fun way to deliver party favors. 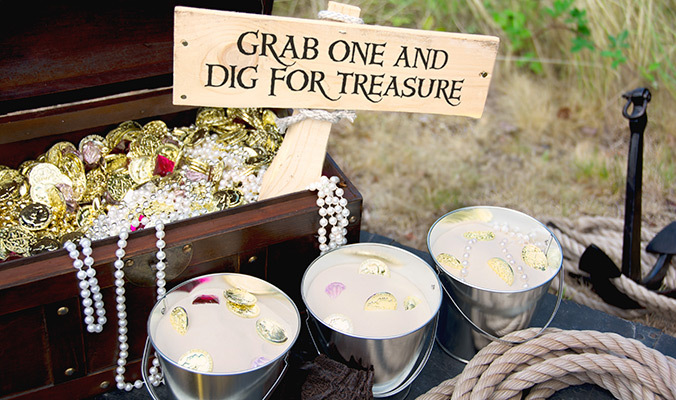 Fill some small silver metal buckets with play sand and an assortment of faux gold coins and other goodies. Have guests dig for their buried treasure – make it more challenging by requiring only one hand, or adding blindfolds to the mix. Who will be able to get to the gold first? 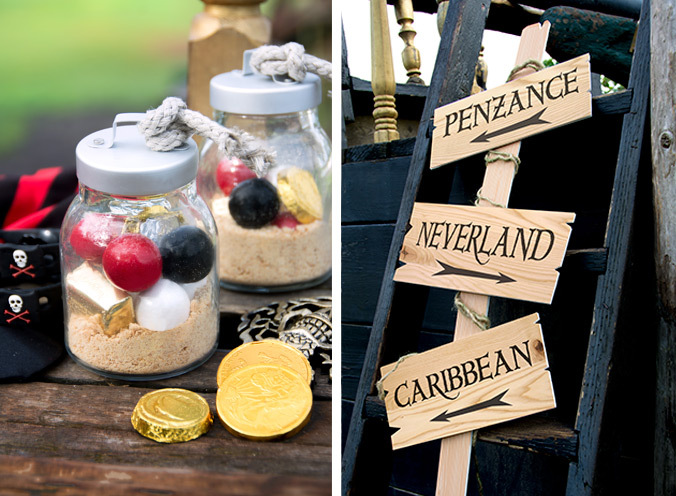 For a DIY pirate decoration, create signposts with classic pirate ship destinations, like Neverland and the Caribbean. You can go as authentic as real pieces of plywood and twine, or as simple as sheets of foam core board from the craft store. Either way, it’ll add a lot to the party scene! Pirate costumes and pirate dress-up items are just as important as party supplies for a theme like this – find even more of them on BuyCostumes.com! Our selection of kids pirate costumes also includes great characters like Jake, from Jake and the Never Land Pirates. 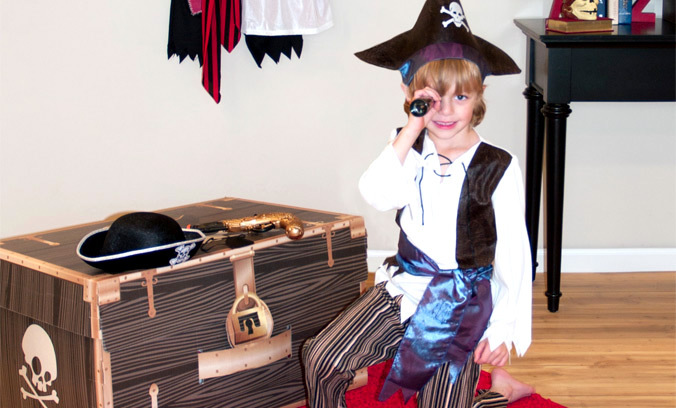 After the party’s over, store your costumes and toys in a pirate themed dress-up trunk to bring out again for playtime, anytime! 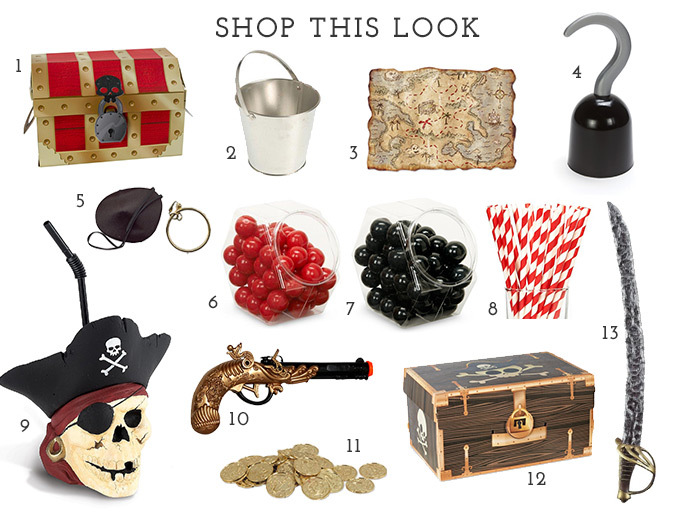 Click inside this graphic to Shop This Look and get everything you need for a fun pirate party theme! Does your child love pirates as much as we do? Will you be Talking Like a Pirate with us this year, or are you saving up your dress-up to use on Halloween? 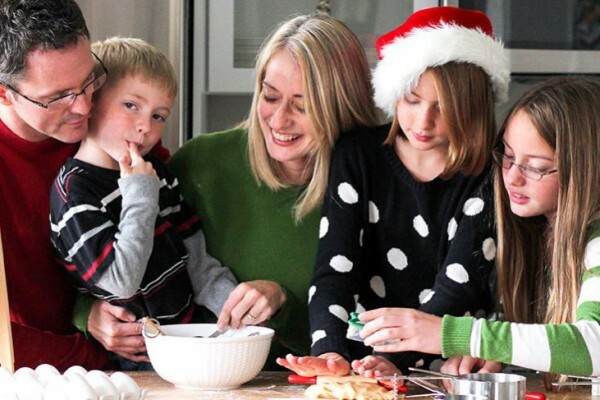 What kind of celebration occasions should we come up with next? 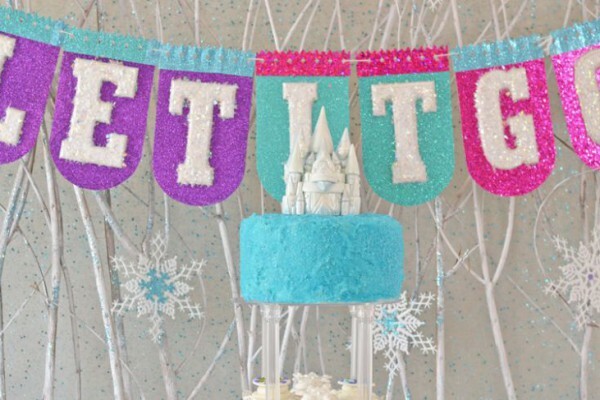 Let us know your thoughts and share your past party picks with us via Twitter @BirthdayExpress and on Facebook! Be sure to check out all of our awesome boards on Pinterest, too, where we’re constantly adding new sources of ideas and inspiration for all of our amazing themes. 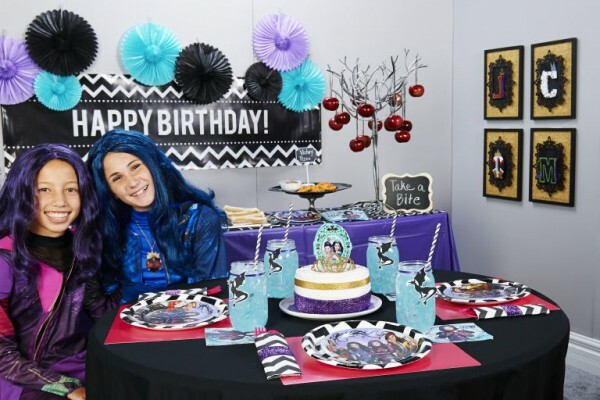 Click here to shop our complete collection of Pirate Party Supplies on Birthday Express.